﻿ De Galleria Hotel, Kota Kinabalu | FROM $19 - SAVE ON AGODA! 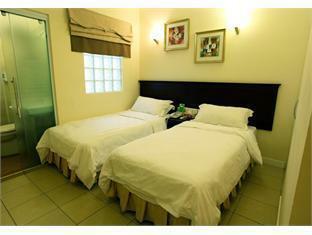 "Very good location, room was clean n comfortable, staff are..."
Have a question for De Galleria Hotel? "Staying for 2 nights, what can i say is about the hotel is really nice and comfortable!" Strategically located in the heart of the financial district, this modest property is convenient for both leisure and business travelers. The location of the hotel is walking distance from the major shopping malls and entertainment complexes, and a variety of restaurants are also within close proximity. 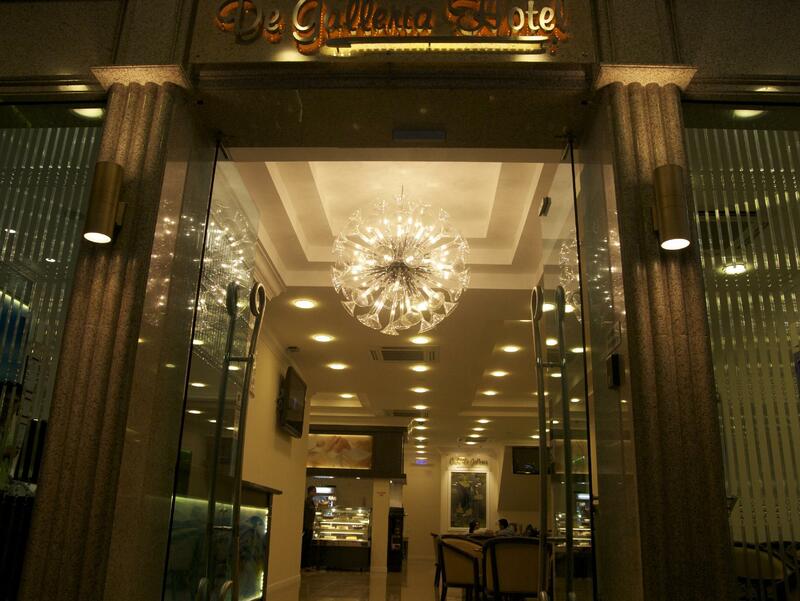 Each room at De Galleria Hotel features all basic amenities required for a comfortable stay. 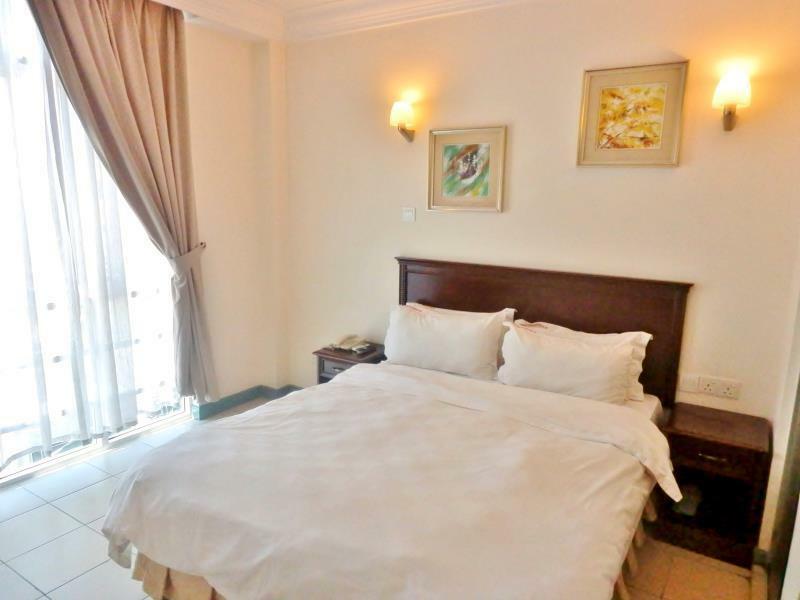 With few room styles available, De Galleria Hotel is suitable for singles, couples, and even group stays. Location not suitable for ladies traveller. Night life around there a bit scary. Travellers who rent car have limited time of parking nearby the hotel because daily night market starting 5pm to 12am. The room we booked has a queen bed, no window and space is cramped. The way to the bathroom only fit 1 person. 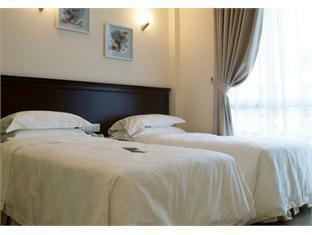 The hotel is cheap and walking distance from city center and gaya street. Manageable to walk to and from jesselton port. The comfort room needs more cleaning due to the molds in sink and shower area, but I guess you get what you pay for. Pros: Cleanliness of the room was okay. Location is very good. Walking distance to almost all the attractions in the city. Staff was friendly. The bathroom had hot water and pressure was good. Recommended for solo or budget travellers. Decent place to spend the night Cons: lacked amenities like toothbrush/toothpaste. Coffee/tea was not provide. Poor noise insulation in rooms. Sheets were not very clean. Be careful when booking the room as "standard queen" has no windows. the only cons is hard to find parking spot and a bit smelly down the alley. Good location. Easy to find by using Google Map. Staffs very friendly. Room is very large and comfortable. Bathroom is large and very clean. Many place for car parking. Beautiful place and scenery. Can see Mount Kinabalu clearly in good weather. Cold at night. Make sure close windows because many mosquitoes at night. the mosquitoes get in the room althought there is mosquito net. For those who are planning to go to Brunei, You can choose this hotel as it's very near to the Bus terminal going to Brunei. It was a small room but it's clean. I'm not sure if there was an issue that day with the internet connection but the wifi was kind of slow. But it was a nice hotel still. Staying for 2 nights, what can i say is about the hotel is really nice and comfortable! I pay less but i get more, i get an extra pillow. And also they have a complete facilities. Kind staff who willingly to assist you. They also can keep your luggage with no charge at all. A great place to stay. Will be back again to this hotel. Everything is just fine! No problem. The room is small but still acceptable. The location is strategic but there are night market every night and you cant even park your car in front the hotel before 11pm. And there also morning market on Sunday morning. So avoid to park your car there or else your car will be stuck inside. Great location . Near to town , u can just walk to the nearest shopping complex , wet market and etc . There is a night market everyday , just in front of the hotel . Friendly staff . Clean room . Recommended . This is not the foreign tourist area -- but it hosts the night market, locals are there to shop and to get foot and leg massage from the 20+ people who set up each night to provide this service. Good local restaurants, stores and shops. Good all day -- but a couple of alleys that should be avoided at night. In the heart of KK town, where all the food, night market, Sunday market and even with a little stroll Suria Mall is within reach. 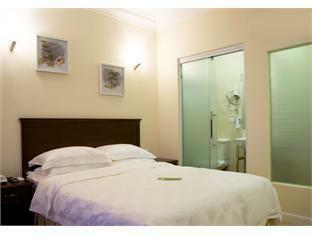 Room although small but good enough for couple, with safe, tea amenities, just right for the value. Very near to the Jesselton Point, transportation is easily found especially Taxi, and at the center of kk city. Booked 2 types of room.. we are more satisfied with the double room than twin room as the size of double room is more spacing than the other.. the toilet and the bathroom looked like being squashed. Overall, we are satisfied for the hospitality provided. The hotel is really well located right in front of the night market (without being noisy), and nearby Gaya Street, the waterfront and shopping areas. Basically, you can walk anywhere in town. It is good value, clean, comfortable with helpful staff. There are no frills or perks, but the double bed was big and comfy, and even though the room was very small (we got a double room without window), it had all we needed and an ensuite bathroom.